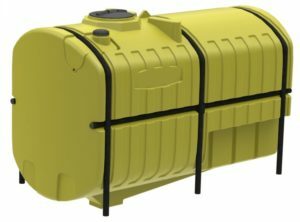 Crop Care Tanks are designed for OEM sprayer applications that contain chemicals rated for contact with polyethylene. Hoop recesses are provided around the tank to facilitate installation and anchoring. Wide bottom tanks are available with either a box-style or sloped-style sump on the bottom for withdrawal. Narrow bottom tanks are cut out on each side to facilitate narrow track widths and are only available with a sloped-style sump. Larger tanks are furnished with polyethylene baffles for fluid control and a five-gallon rinse tank. 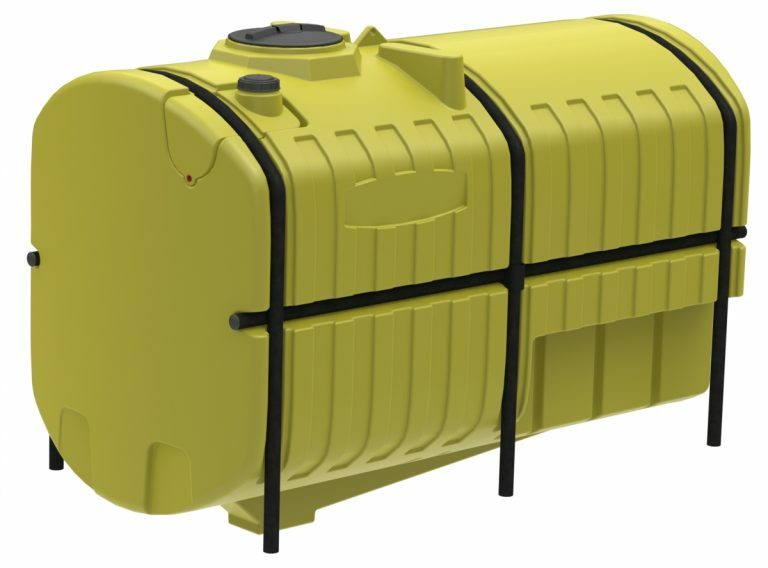 The tanks are manufactured from high-density polyethylene with U.V. stabilizers and are designed for liquids of up to 1.9 specific gravity. Tanks are shipped on returnable pallets. Fittings are shipped loose. Baffles & Rinse Tank included on 1000-1500 sizes. 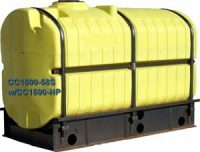 Tanks are shipped on returnable pallet.